Games are a very fun and easy thing to do, yet creating one is a different ball game. To make a game fun it needs to appeal to the player. What appeals to me? Point and Click adventure games, RPG Adventure games, Action-Adventure games, Stealth and Story oriented adventure games. Unpredictable; always keeps you guessing or on your toes. Visually pleasing to the eye; great aesthetics. Makes you have to think, not too much but enough to make you feel like you have achieved something. Not too repetitive; carrying out missions that are pretty much identical to the one before; screams out boredom. The characters are realistic and complicated. Good demonstrations of these characteristics are like Revolution’s Broken Sword series. Or Square Enix’s Final Fantasy VII. I like these games because I am genuinely interested in them and how they end, so I challenge through because I want to see what happens. What adventure game is best suited? 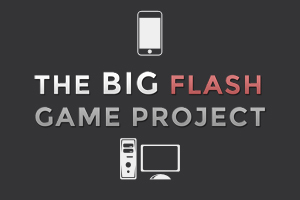 Because we will be using Flash in this big project we will be creating a 2 Dimensional game. I will be making use of the Flash platforms language ActionScript 3. This allows us to use Object Orientated coding. I am a University Undergraduate studying computing as a degree. I have used Flash for many years and I am always finding out new things about it. I am fully capable of creating the necessary Art, Interfaces and story structure. My skills as a programmer are good in some areas and shady in others. I will discuss a main story and everything about it for a clear understanding. I will explain characters and what needs to be covered. I will demonstrate how the levels can be designed. I will explain the interaction available to the user to compliment gameplay. I will demonstrate the user interface of the entire menu. I will show all concept art and the overall intended vision of the game. I will explain all the sounds needed for the game to work. Music will be needed for the user experience; I will explain the use of artist’s music and their permissions. By the end of this document the reader should be fully aware of the purpose of the game and how it will be implemented.